Last month, Professor Richard Davies of the ReFINE (Researching Fracking In Europe) project at Durham University gave a GSL Lecture entitled ‘Fracked or Fiction: What are the risks associated with shale gas production?’ In this guest post, Richard and his ReFINE colleague Liam Herringshaw explain a bit more about and the challenges faced in researching the contentious topic of shale gas. Hardly the most elegant word ever defined – but a tabloid headline writer’s dream – fracking is shorthand for hydraulic fracturing, the process of creating permeability in rocks by injecting fluids into them at high pressure. The technique has been used for many years, but has come to particular attention as part of the recent shale gas boom in North America. The use of fracking to extract gas and oil from impermeable shales has seen the USA undergo a surge in home-grown hydrocarbon production. Suddenly, countries right across the world are eyeing up their shales, wondering if they too can provide a new source of domestic energy. Supporters of shale gas see it as providing power, jobs and economic growth, whilst opponents say it is another polluting fossil fuel, causing damage to communities, the environment, and the climate. Perhaps inevitably, as the first new fossil fuel of the internet age, shale gas is a minefield of misinformation, so scientific research is vital. The ReFINE project – launched at the Geological Society in November 2013 – aims to provide an agnostic appraisal of the real risks of fracking. An independent research consortium led by Durham Energy Institute, ReFINE focuses on the issues associated with shale gas and oil exploration and exploitation. These range from whether fracking can cause earthquakes or subsidence, to what the environmental impacts of fracking fluids and fugitive emissions might be. The first ReFINE studies have focussed on induced seismicity, fracture propagation, and well integrity. 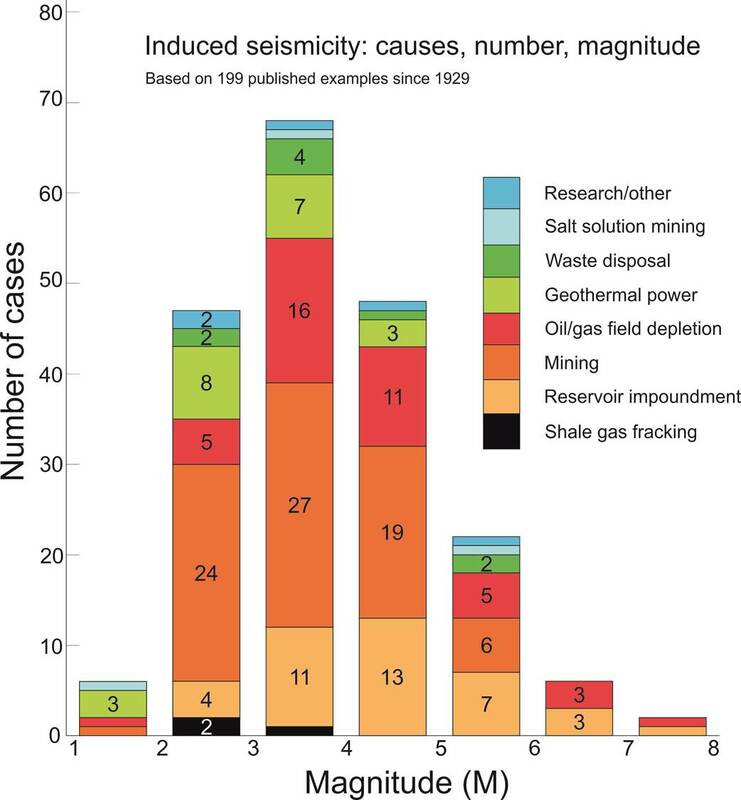 Our review of man-made earthquakes showed that although fracking has caused felt seismicity, these earthquakes are small and rare. Many other human activities, such as mining, reservoir impoundment, and conventional oil and gas extraction, have caused much bigger seismic events. 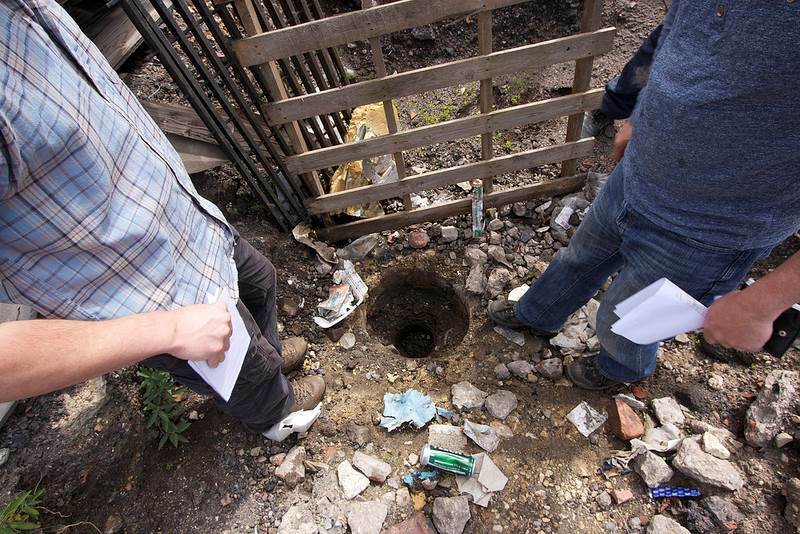 As for how far upwards a hydraulic fracture can grow, our research indicates that there is a <1% chance of a fracture extending vertically more than 350 metres and that 588m was the maximum recorded. Since gas-bearing shales and aquifers are usually separated by more than 1 kilometre of rock, it is very unlikely that fracking itself could create a pathway for contamination of drinking water. Of greater concern is long-term well integrity, something we examined in our most recent study, published in March 2014. Since shale gas wells penetrate groundwater aquifers, a failure in the integrity of a well could cause pollution. Data from the USA indicate that a small percentage of shale gas wells leak, so it is very important that there is assessment of wells during their lifetime and after abandonment. Results of such monitoring should be made publicly available, and the appropriate financial and monitoring processes should be put in place, particularly after well abandonment, so that legacy issues associated with the drilling of wells for shale gas and oil are minimized. Talking of money, we are often asked where ReFINE gets its research funding. The project is supported financially by the Natural Environment Research Council, Shell, Total, and Chevron. To some, the industry funding makes us ‘frackademics’ (a change from being called boffins, I suppose). However, ReFINE has an Independent Science Board, led by Prof. John Loughhead of the UK Energy Research Centre, to ensure there is no industry bias to any of the research projects. Furthermore, most people – regardless of their position on shale gas – recognize that companies should provide money for research. When it comes to determining what the true risks of fracking are, scientific research carried out by academic experts is crucial. From there, informed decisions can be made. Put simply, we need facts before fracks. For more information on the research being carried out by ReFINE, and for resources such as videos and research briefs, visit our website. 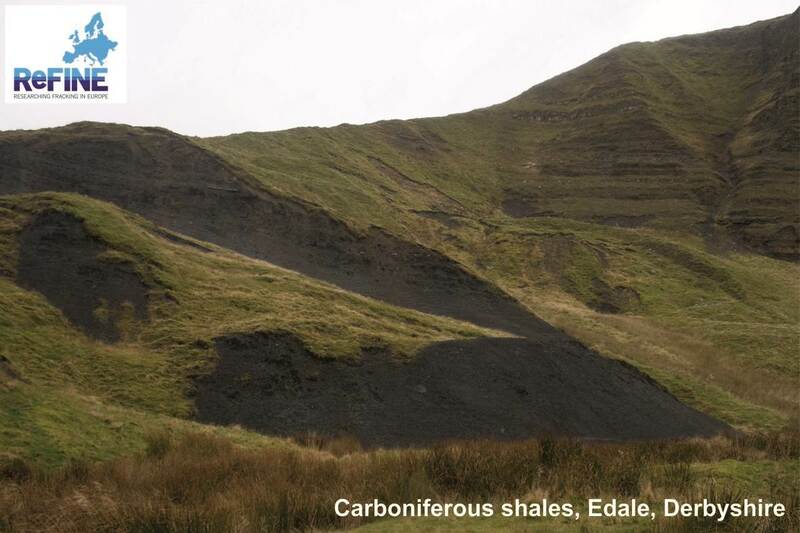 Tags: energy, fracking, Liam Herringshaw, London lectures, reFINE, Richard Davies, shale gas. Bookmark the permalink.